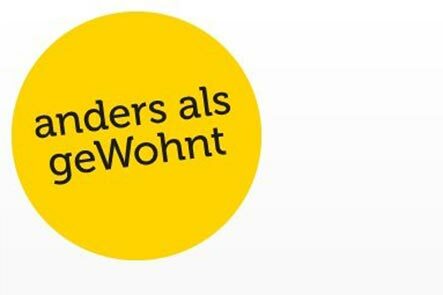 On occasion of the Architecture Talks in Gmunden an interview with Kristina Schinegger and other speakers will be broadcasted on Austrian television tonight. 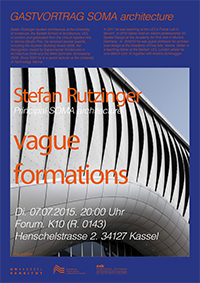 Stefan Rutzinger will give a lecture at the AA Summer School lecture series 2016 in Madrid. Other speakers at this year's event will be Isaie Bloch, Benjamin Dillenburger and Manuel Jimenez Garcia. On invitation by the philosopher Franz Schuh and artistic director Jutta Skokan, Kristina Schinegger will give a keynote lecture at the Architecture Days in Gmunden. Philosophers, politicians, artists and architects will discuss contemporary foundations of built space. "Gründe haben - Architektur - Philosophie - Politik"
On invitation by Manuel Jimenez Garcia, Kristina Schinegger will give a lecture at the Plexus lecture series at the Bartlett GAD. 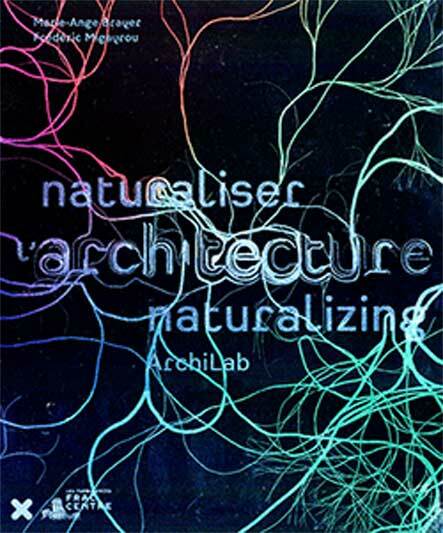 Paul Benett and Steven Tanaka's new book on applications of natural principles for technical applications discussed the kinetic facade of the Theme Pavilion by soma. 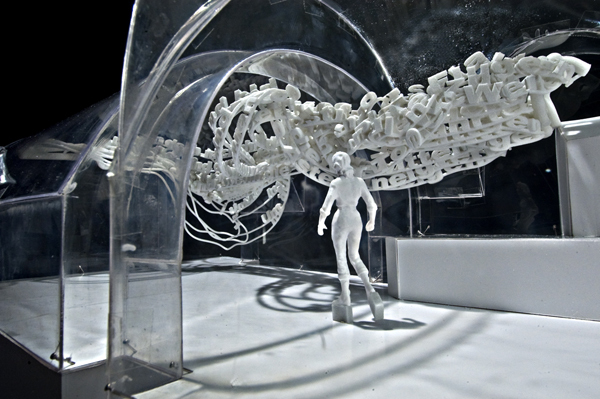 Nicole Stöcklmayer's article about soma's Theme Pavilion discusses how parametric design strategies lead to new hybrid modes of visual representation. To read the paper online (German only) click here. 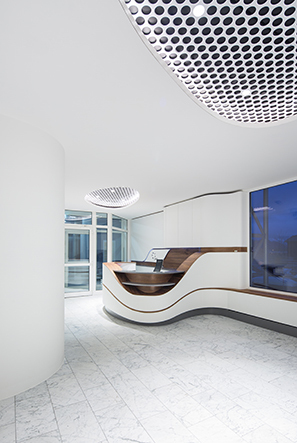 The interior design for the new medical center SAN in Salzburg has been completed. On invitation by Georg Vrachliotis and the Wüstenrot Stiftung Kristina Schinegger will talk about the potentials of vague operations for architecture at KIT Karlsruhe. 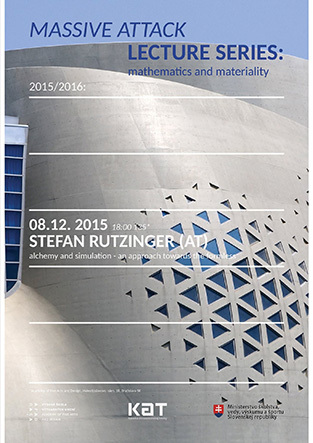 Stefan Rutzinger will talk about soma's approach to materiality and simulation at the lecture series "Mathematics and Materiality" at the Academy in Bratislava. 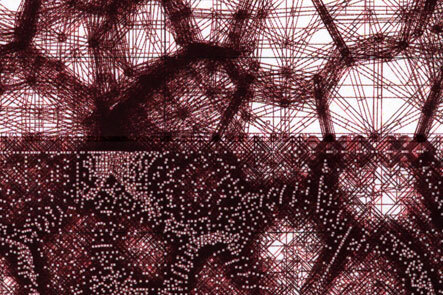 soma has published a new book which emerged from the exhibition “APPLIED ARTS. NOW soma architecture. 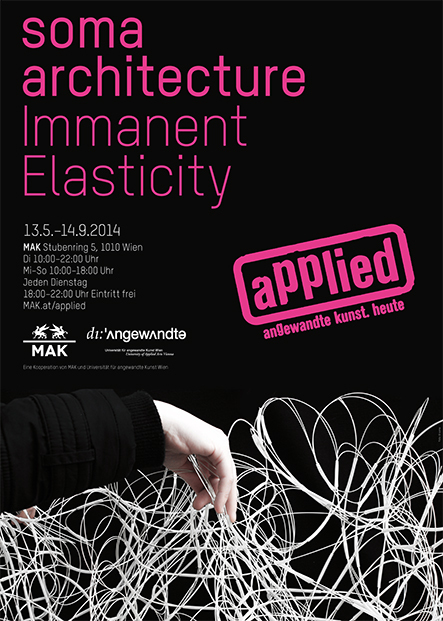 Immanent Elasticity” in the MAK Vienna. Like the show the publication relates our academic activities to the practical work. The works presented include student projects that were developed in design courses at the Bartlett in London, the TU and the Academy of Fine Arts, both in Vienna. Kristina Schinegger and Stefan Rutzinger (Editors): Vague Operations. 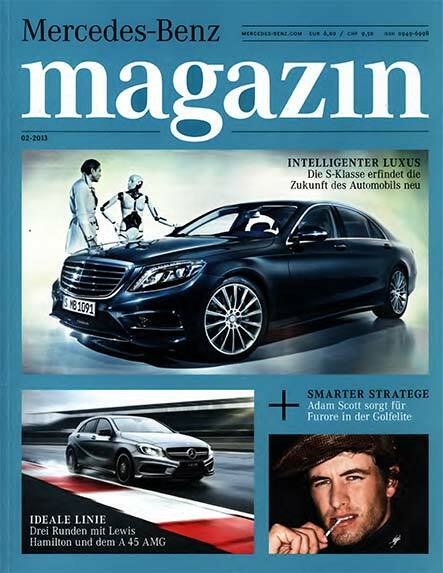 published by Luftschacht, for more information click here. Kristina Schinegger will talk together with Arne Hofmann of Bollinger Grohmann Schneider about innovative construction processes and recent cooperations at the Institute for Industrial Construction, TU Vienna. Kristina Schinegger will give a lecture at the Faculty of Architecture, Academy of Arts in Tallinn. The construction of the Austrian headquarter of TECE south of Vienna by soma architecture has commenced. Stefan Rutzinger will give a lecture at the Experimental Architecture Symposium NEW MANIFESTO in Prague. Speakers include: Anastasios Tellios, Jose Sanchez, Gilles Retsin, Roland Snooks, Eric Goldemberg, Jindrich Raftl and Adam Vukmanov. 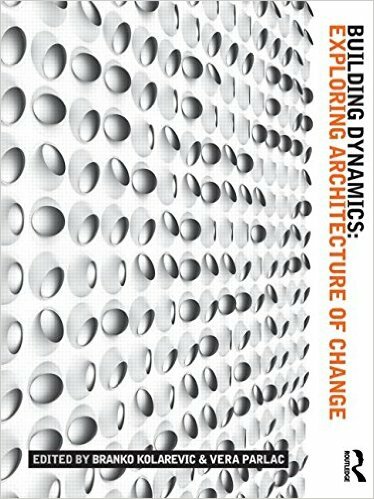 The Theme Pavilion is discussed in the new book by Branko Kolarevic and Vera Parlac, Building Dynamics: Exploring Architecture of Change. 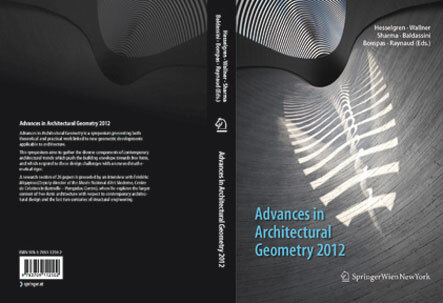 The book provides a comprehensive approach to the topic of responsive and kinetic architecture. 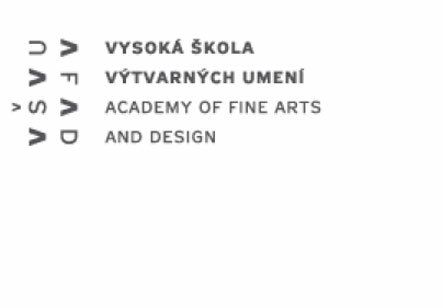 soma is invited to take part in the Experimental Architecture Biennial in Prague curated by Martin Gsandtner, Imro Vaško and Klára Pucerová. 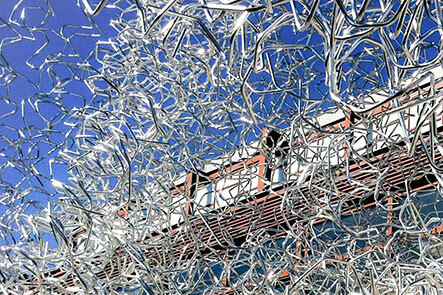 The renowned artist Gerwald Rockenschaub has conceived an installation inside soma's mobile art pavilion White Noise. The pavilion will be located in Bad Gastein until 19th September. Stefan Rutzinger is invited as external critic for the final reviews of the institute for "Experimentelles Entwerfen und Konstruieren" and will give a lecture in the evening. 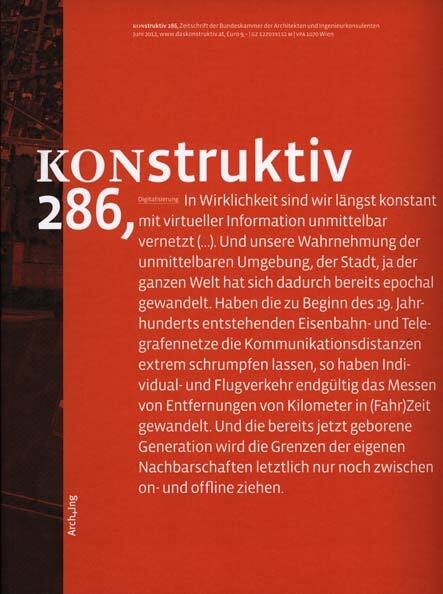 The kinetic facade of soma's Theme Pavilion is featured in the April/May Edition of the magazine Architektur&Wohnen. Together with Kadri Tamre (Exp.Arch) Kristina Schinegger and Stefan Rutzinger were running the workshop Roborite at the Institute for Experimental Architecture. Hochbau / Prof. Marjan Colletti. 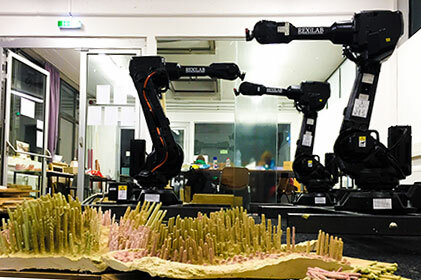 Stefan Rutzinger will talk about recent projects and the use of digital simulation during his lecture at the Architecture Theory Department at UT Vienna. The extension of the Building Academy in Salzburg was published in the South-Korean publication A&C Details Materials as an outstanding contemporary example of free formed in-situ concrete structures. 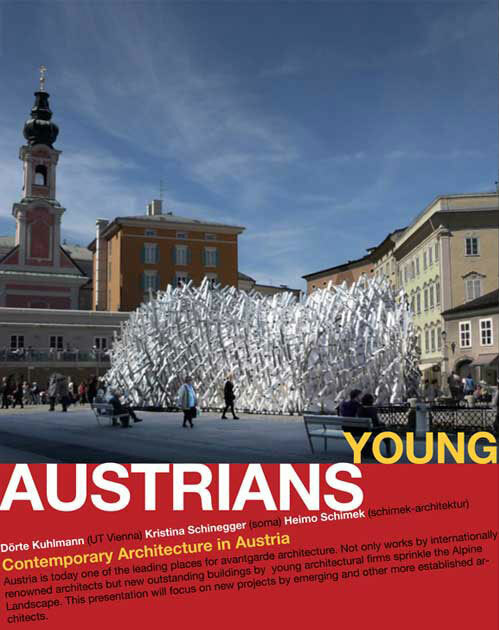 The mobile art pavilion is published in the recent publication Best of Austria. Architektur 2012_13 by the Architekturzentrum Vienna which collects built projects recognized nationally or internationally in the preceding two years. 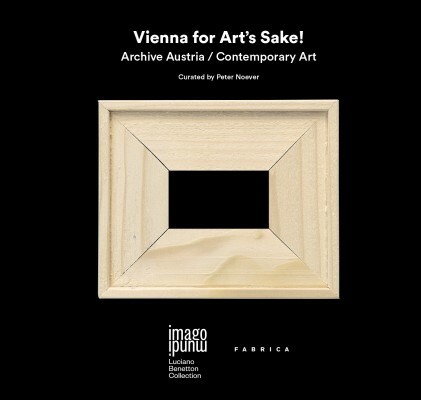 On invitation by Peter Noever Kristina Schinegger and Stefan Rutzinger have contributed the piece Fuzzy Colours to the exhibition Vienna for Art's Sake. Peter Noever on the project: "The objective is to arrive at a new perspective on international contemporary art production by smashing and distributing the role and power of the curator among the artists, architects and designers. I have already invited over 100 individuals from all over the world, and they will invite 100 more themselves. For me, the challenge is to simultaneously see things that aren’t readily apparent: it’s about uncovering structures." The travelling exhibition will visit a number of cities in Europe and America. In collaboration with Peter Stec soma has won the competition for a masterplan for the LEAF Academy Campus in Slovakia. The concept design phase will be finalised by the end of the year. 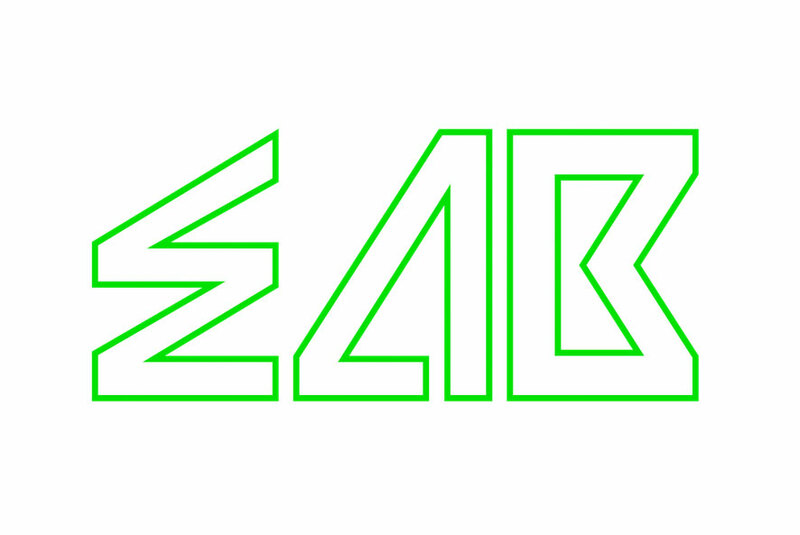 LEAF is a non-profit organisation with the aim to build a central European educational institution that develops the students’ character, excellence, and drive for change. The simultaneous design and evaluation process of White Noise is discussed in a current issue of SEI Magazine. The kinetic facade of the Theme Pavilion Expo Yeosu will be shown in the exhibition Building with Textiles in the Textile Museum Eindhoven. The show is curated by Suzan Rüsseler and presents work by internationally renowned architects as well as interior projects that put textiles in the spotlight. The pavilion is the outcome of a 1-year design course at the TU Vienna, led by Kristina Schinegger, Stefan Rutzinger and Christoph Müller. It will be shown in the course of the exhibition "The Art of ReCreation" in the 21er Haus, Museum Belvedere Vienna. The installation will open on Monday the 12th of May 2014 at 20:00. The mobile pavilion will be opened to the public from mid March onwards. 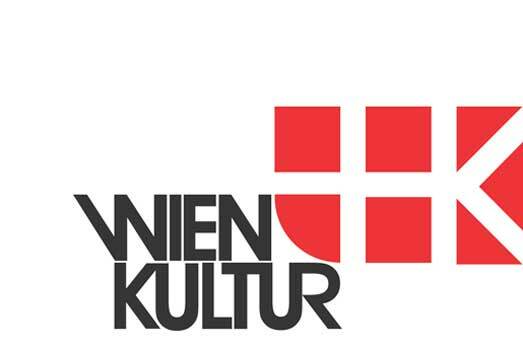 After several locations throughout Europe (the European Capitals of Culture Maribor and Kosice, Krakautal, Salzburg and Oberndorf) it will house various cultural events during the next four months in Tamsweg, Austria. 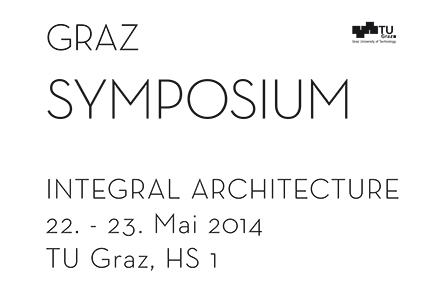 Stefan Rutzinger has been invited to give a lecture Operations of the Formless at the international Integral Architecture Symposium at the University of Technology Graz. In course of the Architekturtage, a 2 days event organized by the Austrian Chamber of Architects and the Austrian Architectural Foundation, soma opens its Salzburg studio for visitors. 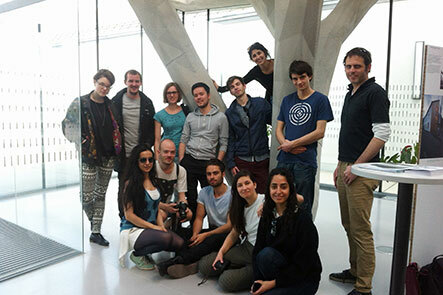 Students of Greg Lynn's studio at the University of Applied Arts Vienna visited the Building Academy during their field trip. 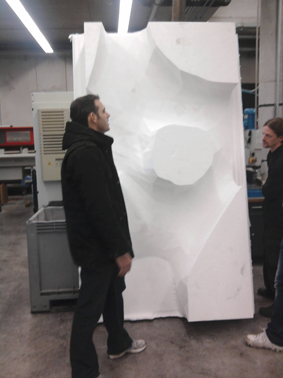 soma is currently preparing an installation for the MAK Vienna. 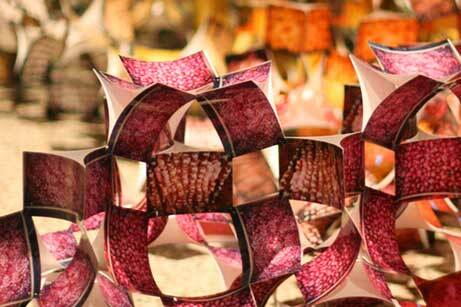 The solo show is part of an exhibition series organised by the museum and the University of Applied Arts. 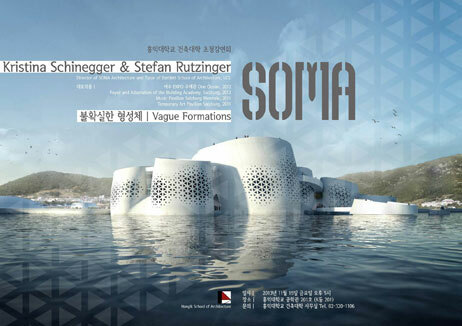 On invitation by Seoul Hongik University Kristina Schinegger and Stefan Rutzinger will give a lecture about recent work. The theme pavillon is featured in the catalogue to the Archilab exhibition at FRAC Center Orleans which has been published recently. soma has won the invited competition for the design of the new Austrian head office of TECE and has entered planning phase. 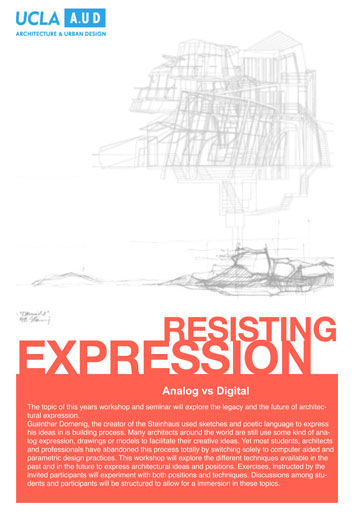 Kristina Schinegger and Stefan Rutzinger will do a lecture and seminar at the symposium Resisting Expression at Günther Domenig's Steinhaus, organized by Mark Mack, UCLA. Other speakers are Peter Noever, Kivi Sotamaa, Peter Ebner, Magda Saura and Heimo Schimek. soma's proposal for the new Austrian Embassy in Bangkok has been awarded with an honorable mention in the 2-staged international competition. For more information and further results go to competitiononline. 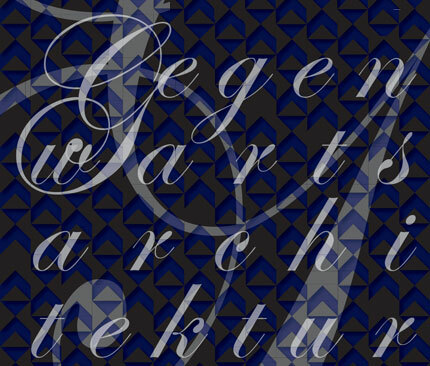 On invitation by Kruh Kristina Schinegger will give a lecture about recent projects in Prague. 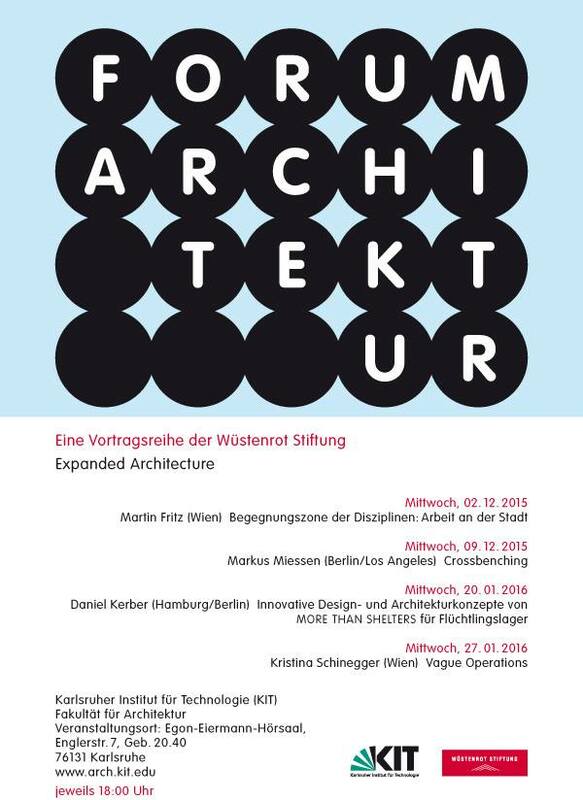 On invitation by VitraBad and Haus der Architektur Köln Martin Oberascher will present the extension of the Building Academy as a showcase for experimental construction strategies. Lecture and discussion: Frischer Wind. Architekt - ein Beruf im Wandel. On invitation by Michelle Howards Stefan Rutzinger will take part in a series of discussions under the title Concrete Ideas at the Academy of Fine Arts Vienna. 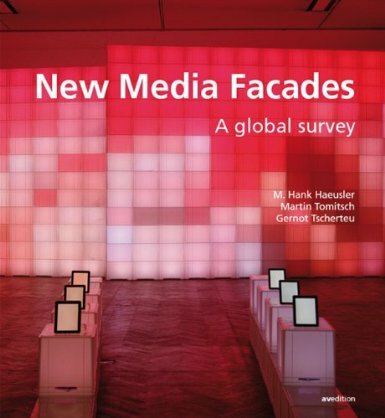 soma's kinetic facade is featured in the book New Media Facade authored by Hank Häusler, Martin Tomitsch and Gernot Tscherteu. The global survey looks at 35 contemporary examples and asks how media can be integrated into today's often “curvaceous” architecture and urban landscape. 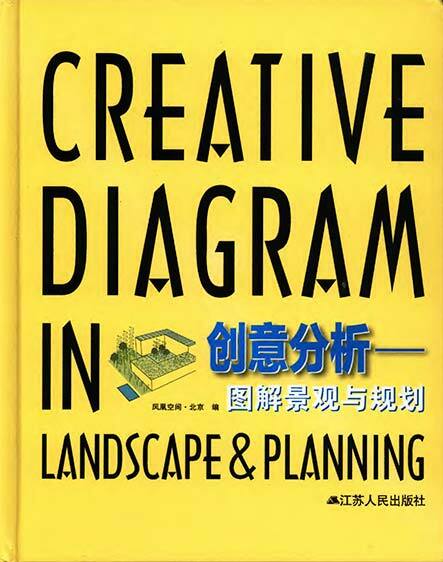 soma's design for the Taiwan Tower has been published in the new book Creative Diagrams in Architecture by Ifengspace publishers China. soma's design for the Taiwan Tower has been published in the current edition of Domus Israel. soma has been invited to be shown at this year's ArchiLab exhibition, curated by Marie-Ange Brayer and Frédéric Migayrou. 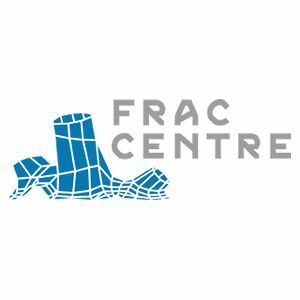 ArchiLab 2013 will be launched on the 14th of September in the new FRAC Center in Orléans. 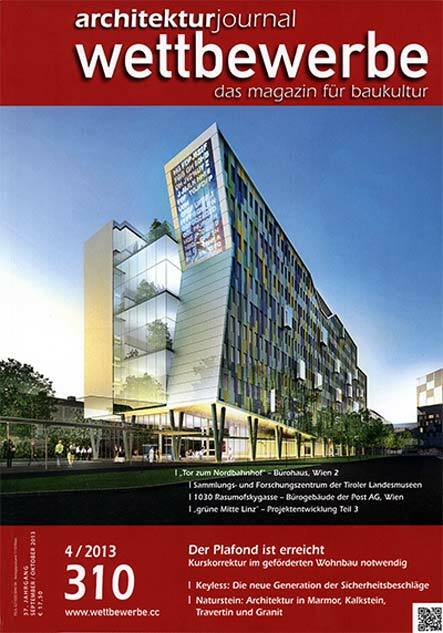 soma's proposal for the entrance building to the UniCredit Bank Austria Campus (second prize winner) has been published in the Austrian magazine Wettbewerbe. Kristina Schinegger and Stefan Rutzinger have been invited to present recent projects by soma at the Bartlett International Lecture Series. 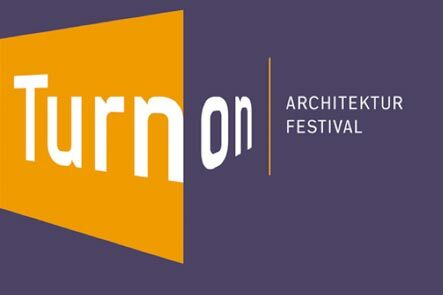 Kristina Schinegger will give a lecture at this year's Turn On Architecture Festival. The two-day lecture event is organized by Margit Ulama (Büro für Architektur_Theorie_Organisation) and the Austrian Architectural Foundation. Mercedes-Benz Magazine discusses the Theme Pavilion's kinetic facade as a showcase for biomimetic applications in architecture. 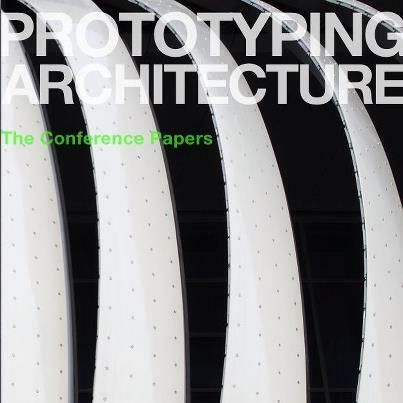 Kristina Schinegger will lecture about the kinetic facade of the Theme Pavilion at the Prototyping Conference in London. 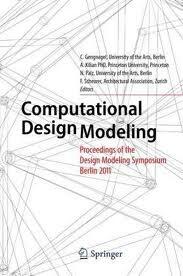 To read the paper by soma and Knippers Helbig Advanced Engineering click here. Martin Oberascher will give insights into the process of implementation of the complex roof geometry for the Building Academy at a workshop organized by Initiative Architektur Salzburg. For further information on the event click here. The extension of the Building Academy is discussed by Isabella Marboe as a showcase for experimental applications of concrete technologies in the current edition of HOME. The Theme Pavilion and its kinetic facade are currently shown at the Prototyping Architecture Exhibition curated by Michael Stacey (Univ.of Nottingham) in conjunction with the Building Center London. Kristina Schinegger will talk about recent projects at the Department of Architecture Theory (Prof.Kari Jormakka) at the University of Technology Vienna. soma's Theme Pavilion has been nominated for the Katerva Award for Sustainability and Innovation in the category Urban Design. From the nomination panel's statement: "Unlike many recent World Exhibition monuments, the Theme Pavilion reverts back to the scientific creativity of its early predecessors. (...) Layout and spatial form reflect the purpose of both environmental and architectural sustainability. Its creators have found a way to use architecture to spread the idea of sustainability to architects and tourists alike." soma's mobile Art Pavilion has been nominated for the European Union Prize for Contemporary Architecture - Mies van der Rohe Award 2013. The Award draws attention to the major contribution by European professionals to the development of new ideas and technologies. For further information on the award click here. 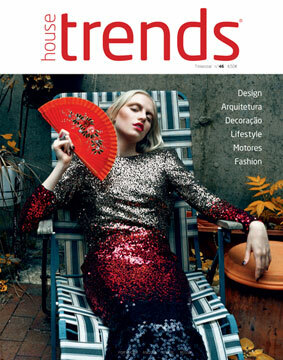 The theme pavilion for Expo 2012 is published in the current issue of House Trends. 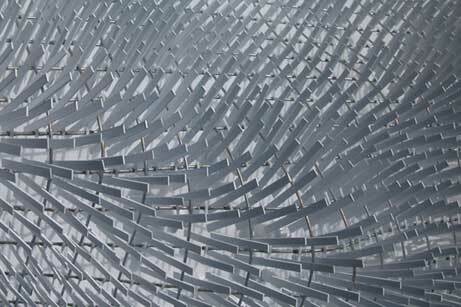 On invitation by Michael Stacey Kristina Schinegger will talk about Vague Formations at this year's Architecture Matters lecture series at the Department of Architecture and Built Environment in Nottingham. On invitation by Volker Giencke Martin Oberascher and Kristina Schinegger will talk about recent projects at the studio3 lecture series. 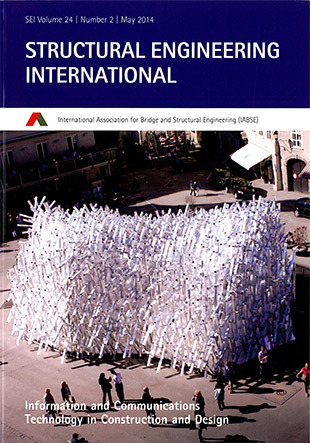 The mobile Art Pavilion White Noise and the Theme Pavilion for Expo Yeosu are discussed in the german and english edition of DETAIL Load Bearing Structures Vol 6.
soma and Bollinger Grohmann Schneider Engineers published a paper on the generative design process of the Taiwan Tower in the proceedings of the conference Advances in Architectural Geometry 2012. 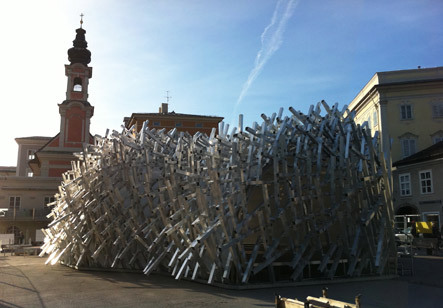 The kinetic facade for the Theme Pavilion is among the 25 best projects nominated for the Media Architecture Biennale Awards 2012. 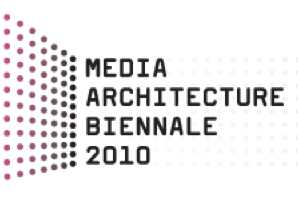 The Biennale consists of an exhibtion and a conference and is organized by Aarhus University and the Media Architecture Institute. Viscous Adaption - soma's design for the extension of the Building Academy was awarded the biannual Architecture Recognition Award by the Country Salzburg. The jury highly commended the state of the art design and construction methods. 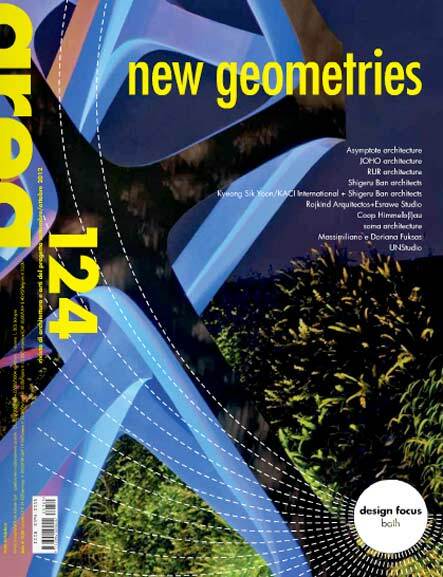 The Theme Pavilion One Ocean is showcased in the current edition of Italian Area Magazine New Geometries. 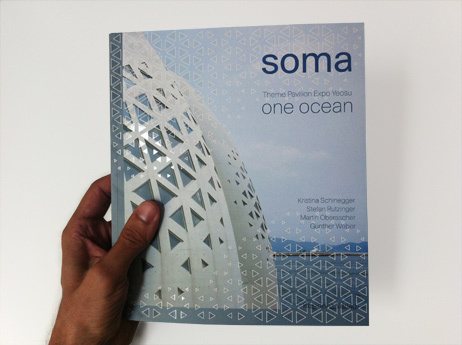 soma's book One Ocean. 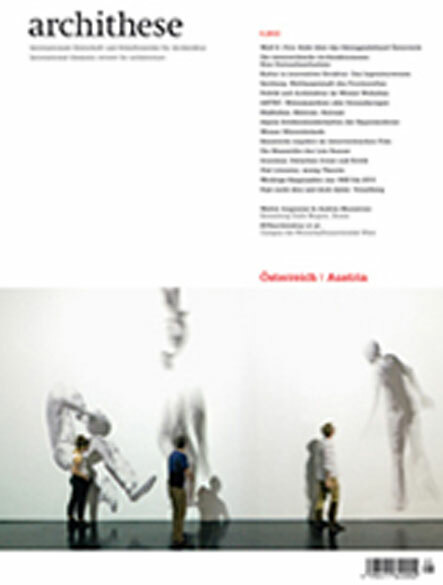 Theme Pavilion Expo 2012 has been published by ResidenzVerlag. 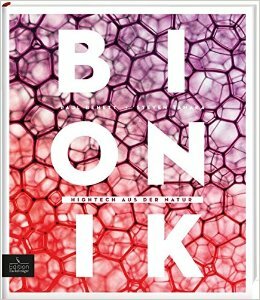 It gives insights into the design and implementation process and discusses potentials of biomimetic approaches for applications in architecture. The book is written in English and contains essays by Kari Jormakka, Marjan Colletti, Georg Vrachliotis and Jan Knippers. 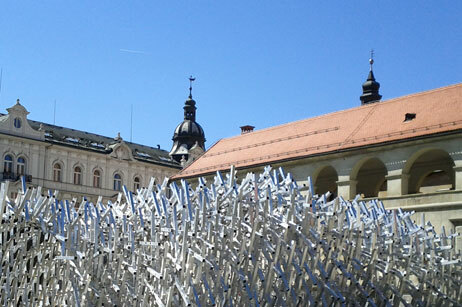 soma's mobile pavilion which was originally designed for the Salzburg Biennale has been assembled in Maribor, Slovenia as the Austrian contribution to the European Capital of Culture 2012. 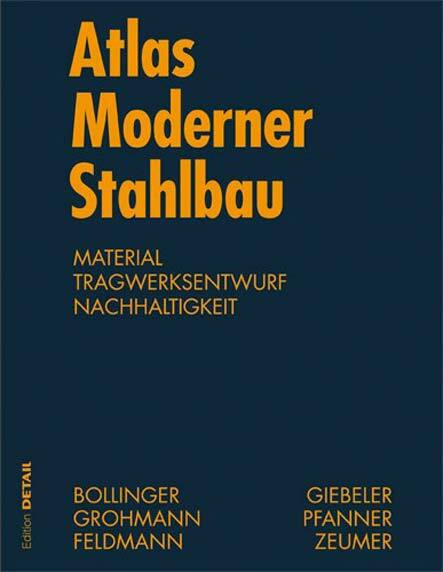 It will house the exhibition Surprisingly Ingenious, which shows selected examples of Austrian design as well as a presentation by the literary newspaper Lichtungen of works by Slovenian and Austrian authors. 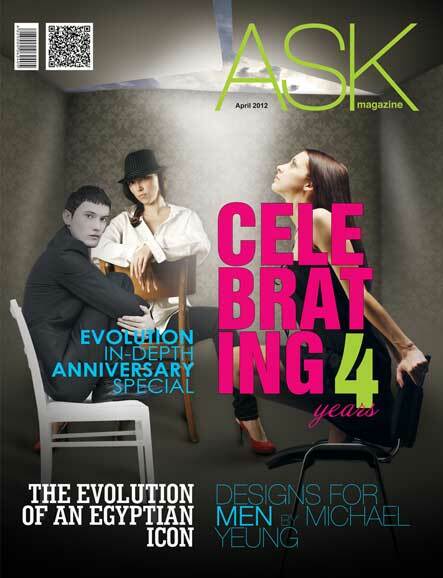 Korean magazine Details presents Viscous Adaption, Extension of the Building Academy in their issue 30. Stefan Rutzinger holds a professorship for architectural design at the Academy of Fine Arts Vienna in the current winter term. 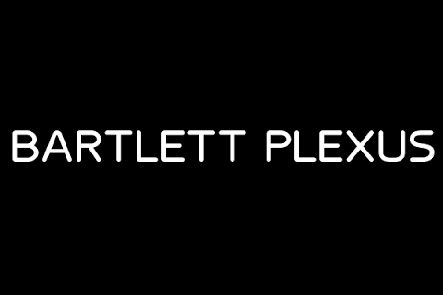 Kristina Schinegger, Stefan Rutzinger and Stefan Ritter run the MArch Unit 15 at the Bartlett School of Architecture, University College London. soma wins an invited competition for an urban housing district in Salzburg ex equo with PLOV. The proposal containing 150 housing units will be finished in 2013. The jury awarded soma's design because of its unique character and intimate scale of its public spaces. 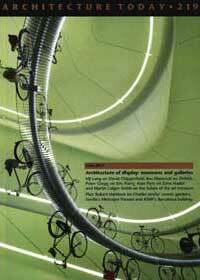 soma's recent projects including the Theme Pavilion, the extension for the Building Academy and the mobile music pavilion are presented in the special issue detail '13 of the chinese IW MAgazine. 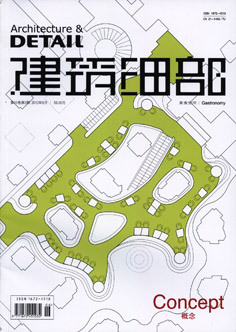 Chinese Architecture and Detail showcases the theme pavilion in their new issue Concept Gastronomy. German architecture magazine Deutsche Bauzeitung extensively discusses soma's design for the Theme Pavilion and the kinetic facade, that was developed together with Knippers Helbig Engineering in an article by Isabella Marboe. 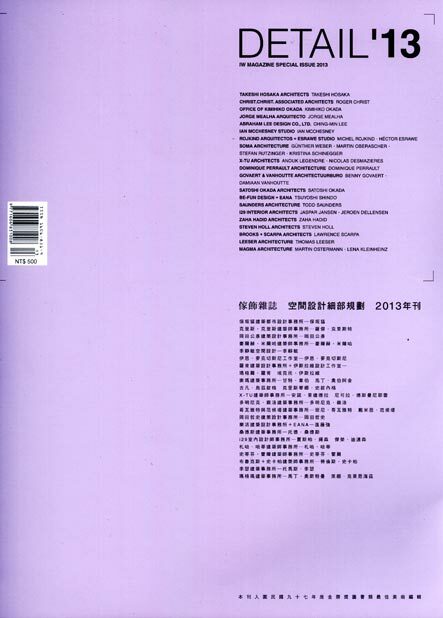 soma's theme pavilion is presented in the new issue Cultural Architecture of the Chinese magazine Urbanism and Architecture. The mobile Art Pavilion is discussed in the article "Nature, Culture, High-Technology" by Matthias Boeckl in the current issue of Iranian magazine MeMar. Belgrade based architecture magazine Architekton presents the extension for the Building Academy, Viscous Adaption in their latest issue. 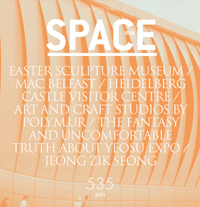 The Theme Pavilion for Expo 2012 Yeosu is extensively discussed in the June issue of the renowned Korean Architecture Magazine Space. soma's mobile Art Pavilion will be assembled in the rural area Krakautal. 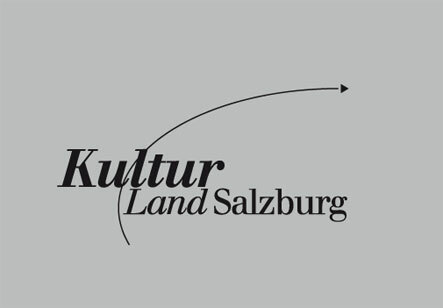 From June 22 - July 22 it will house an information center and the exhibition "Kühllabor" by the Austrian artist Klaus Schafler. 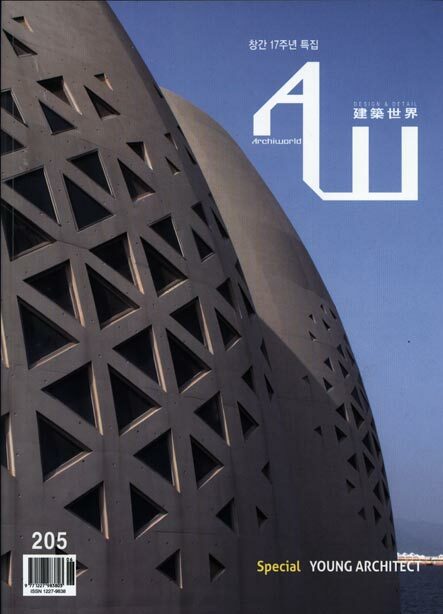 The Theme Pavilion is dicussed in the latest special issue by the Korean Architecture magazine Archiworld. 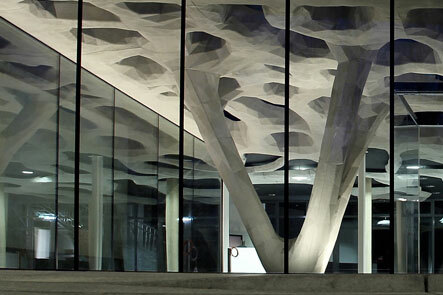 The new foyer and extension of the Building Academy Salzburg will be opened for the public on June 14th. The entrance space and the adapted concert hall will serve as a cultural venue integrated into the school for construction technologies. 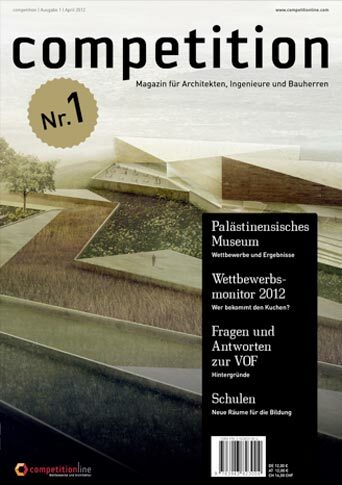 The new Austrian Architecture Chamber magazine Konstruktiv showcases One Ocean in their first issue. 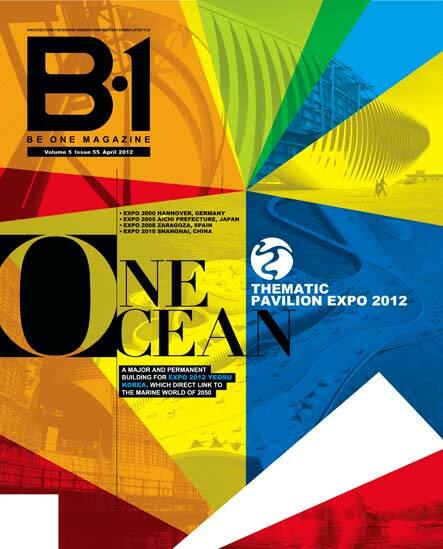 Korean Concept Magazine presents soma's completed Theme Pavilion in their special issue about the EXPO Yeosu. Chinese Beyond Magazine presents the temporary Music Pavilion, the Taiwan Tower and the Thematic Pavilion in their current issue! 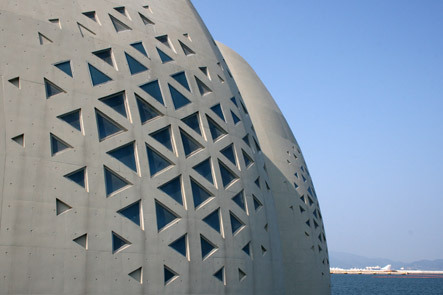 We proudly announce the opening of the Thematic Pavilion for the EXPO 2012 in Yeosu, South-Korea. The building will be presented to the public on May 12th. For more images click here. 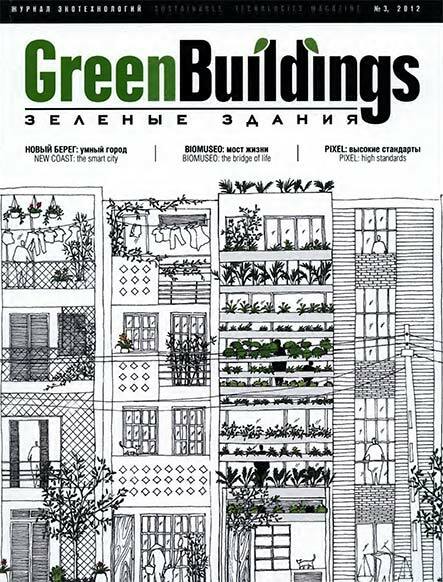 The Russian sustainability magazine Green Buildings publishes an extensive recension on the Theme Pavilion in its current issue. 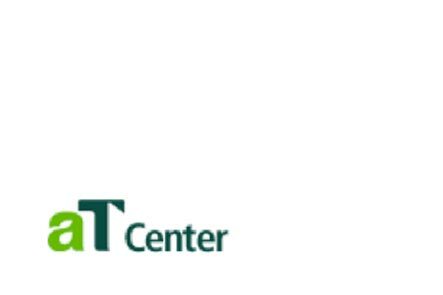 On invitation by AIP and Yeaa Stefan Rutzinger will present the completed Thematic Pavilion for EXPO 2012 Yeosu and other recent projects at the Low Carbon Green Construction Technology Forum in Seoul, South-Korea. On invitation by the Austrian Embassy Economic Section Stefan Rutzinger will present the recently completed Thematic Pavilion for the EXPO 2012 at Platoon Kunsthalle, Seoul. On invitation by AIP and Yeaa Günther Weber will present the completed Thematic Pavilion for EXPO 2012 Yeosu at Changwon University, South-Korea. 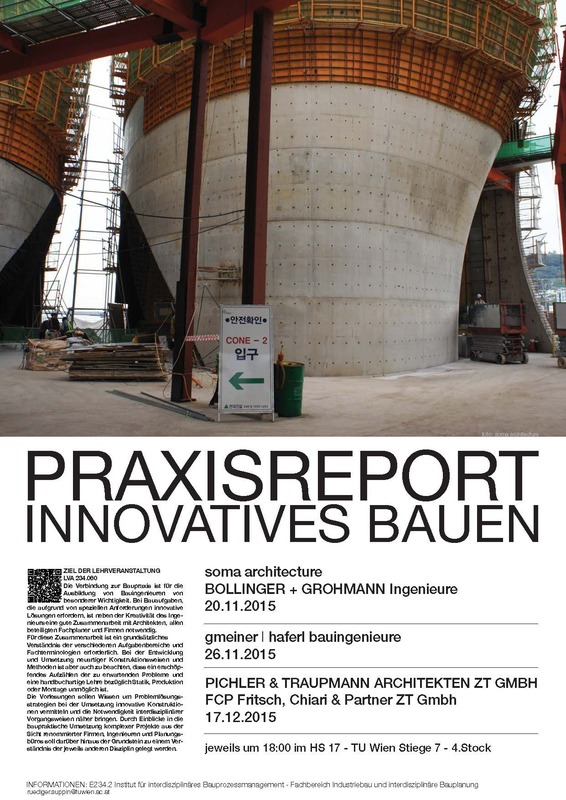 In the first issue of the new magazine by Competition Online soma, Bollinger Grohmann Schneider Engineers and Knippers Helbig Advanced Engineering give insights into their interdisciplinary working process using the example of the award winning proposal for the Taiwan Tower. 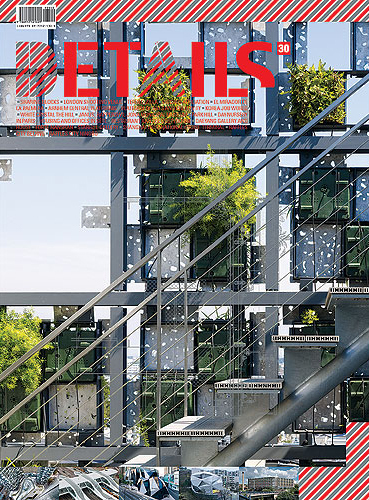 The kinetic facade of the Thematic Pavilion that was developed together with Knippers Helbig Advanced Engineering is presented in the new issue of MARK Magazine. In course of the Architekturtage 12, a 2 days event organized by the Austrian Chamber of Architects and the Austrian Architectural Foundation, soma opens its atelier in Salzburg to interested visitors. Under the title Unreal 4.0 we will discuss new strategies for urban living. Stefan Rutzinger assumes an interim professorship for Spatial Design at the Academy of Fine Arts in Munich. 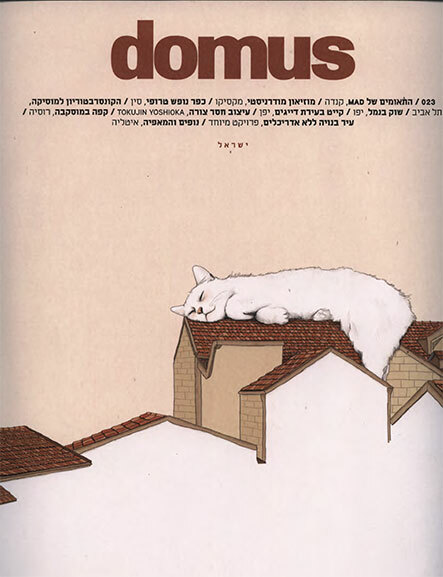 soma's work is presented in the Portfolio section of the current issue of ALPS Magazine. Stefan Rutzinger will present the Thematic Pavilion together with Christoph Brandstätter (structural engineer of TP) at the concrete day, a congress organized by the Austrian Society for Concrete and Construction Technology. The mobile Art Pavilion is showcased as an example for contemporary generative design in the new edition of the Construction Atlas by DETAIL. 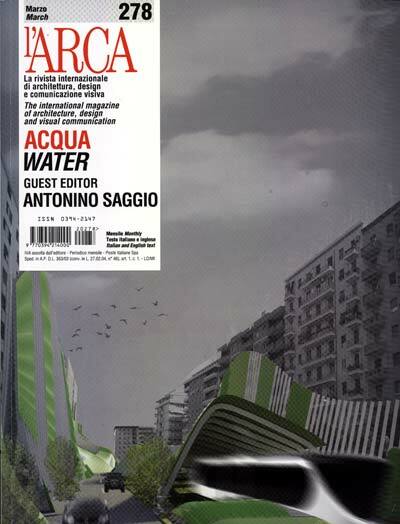 The current edition of l'Arca water showcases the Thematic Pavilion for the EXPO 2012 as an example of contemporary marine Architecture. soma's award winning proposal for the Taiwan Tower and the Thematic Pavilion for EXPO 2012 are presented in the Egyptian design magazine ASK. The Thematic Pavilion and its kinetic facade will be exhibited in the Material World Exhibition at the Danish Architecture Center. The exhibition shows how advanced material research contributes to new approaches and expressions in Architecture. soma presents the Thematic Pavilion for the Yeosu Expo at this year's Turn On Architecture Festival in Vienna. 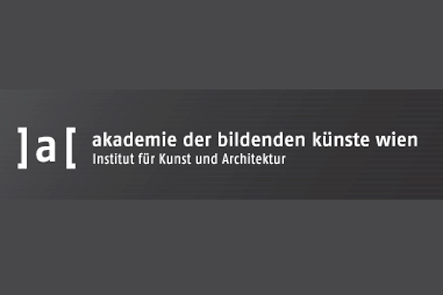 The two-day lecture event is organized by Margit Ulama (Büro für Architektur_Theorie_Organisation) and the Austrian Architectural Foundation. Among the invited speakers are Dominique Perrault, AllesWirdGut, Caramel, Hermann Czech and Halle 1. Korean Concept Magazine presents soma's proposal for the International Taiwan Tower Competition / Taichung in their latest issue. 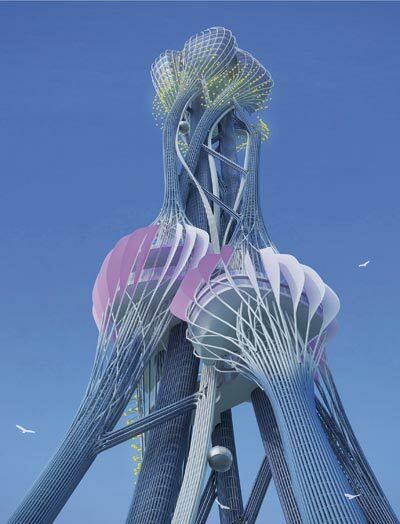 soma won the second prize in the international open competition for the Taiwan Tower in Taichung City. The 300 meter high tower will become the new landmark for Central Taiwan. For more information on the competition and the projects of the 5 finalists of the second phase click here. Stefan Rutzinger will take part in a panel discussion at the IG Architektur in the course of the presentation of the new video podcast "Berufsfeld Architektur 2.0". The research project by Oliver Schürer at the theory department, TU Vienna focusses on the live and working situations of young creative architects. 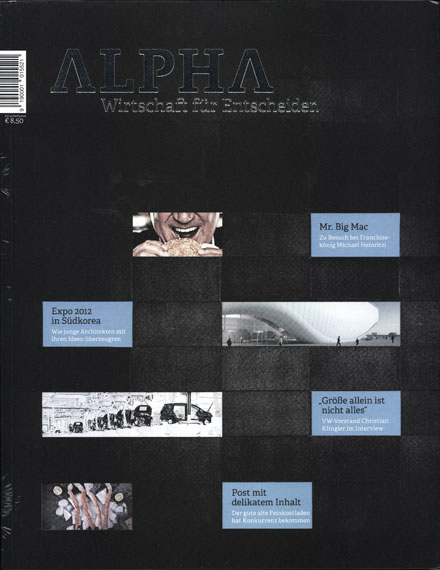 The first issue of the Austrian Business Magazin Alpha features an interview with Stefan Rutzinger on the founding of soma and the implementation of the theme building for the EXPO 2012 in South-Korea. On invitation by Klaus Teltenkoetter, professor for digital media and design at the University of Applied Sciences in Mainz/Germany Kristina Schinegger will lecture about recent projects. On invitation by Niels Jonkhans, Professor at the faculty of Architecture at the OHM University in Nürnberg Stefan Rutzinger will lecture about soma's recent projects. 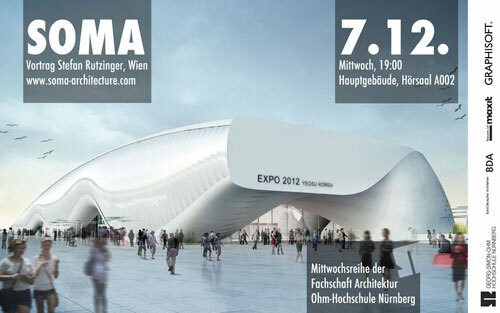 On invitation by Peter Sapp and the Academy of Fine Arts in Munich Stefan Rutzinger will give a lecture about the Theme Building for the EXPO 2012. Other invited speakers are pool, Delugan Meissl, marte.marte and next enterprise. soma has been selected as one of five finalists entering the second phase of the international Taiwan Tower Competition. 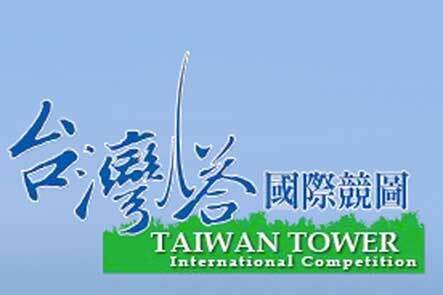 The observation tower will be over 300 meter high and become the new landmark for Central Taiwan. 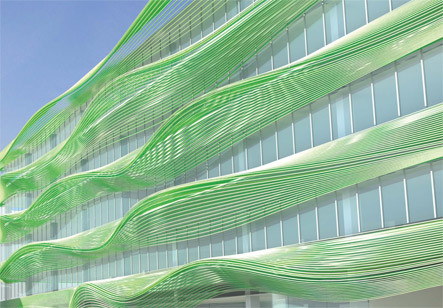 An international jury has chosen soma's proposal out of 100 entries. soma was awarded the Promotion Award by the City of Vienna for "exceptional overall contributions" in the field of Architecture. The city of Vienna annually awards prizes in the categories music, literature, science, national education, visual arts and architecture. 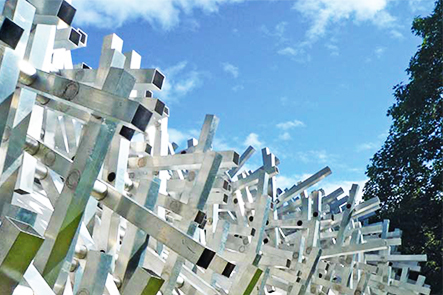 The temporary music pavilion for the Salzburg Biennale and its design and construction process is elaborately discussed in a recension by Prof. Michael Stacey (University of Nottingham) in the June edition of Architecture Today. On invitation by Architektur in progress soma presents the Thematic Pavilion for the Expo 2012 in the travelling exhibition "Future Building Solutions from Austria" in South-Korea. 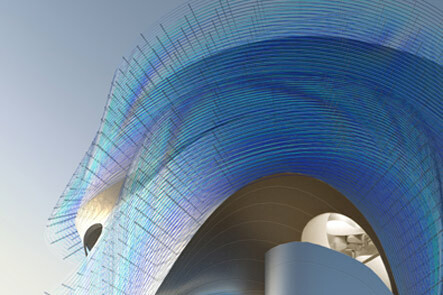 soma wins in collaboration with dmp the second prize in the invited competition for the Hyundai Business Pavilion for the Expo 2012 Yeosu, South Korea. To see the proposal click here. 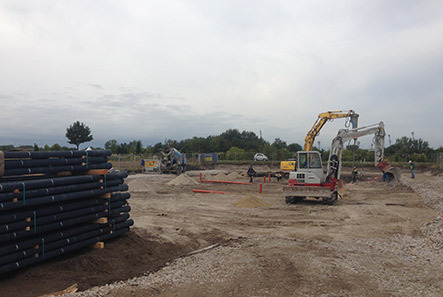 The construction of the roof structure for the Building Academy Salzburg has started. The new foyer and the redesigned performance hall will be opened in November 2011. On invitation by Mark Mack Kristina Schinegger will present soma's recently finished music pavilion for the Salzburg Biennale and other projects under construction at UCLA. 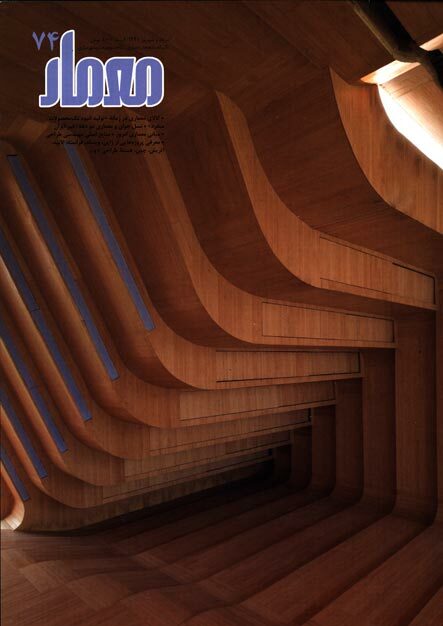 Turkish Architecture Magazine yapi reviewed soma's Thematic Pavilion for Yeosu Expo 2012 in their latest issue. On invitation by koge institute Stefan Rutzinger will talk about soma's recent projects at the University of Technology Innsbruck. Stefan Rutzinger will talk about the design and production process of the Art Pavilion and other projects under construction in the recently opened pavilion at the Mozartplatz, Salzburg. 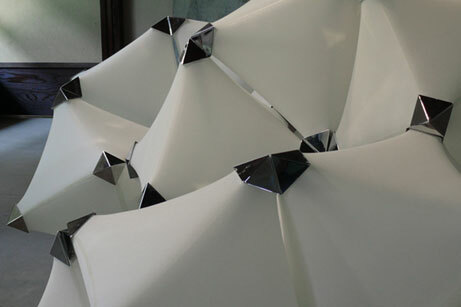 Kristina Schinegger will present soma's recent work at the Academy of Fine Arts and Design in Bratislava. Lecture: "How does it make you feel?" soma won the second prize in the competition for the re-design of the main facade and foyer extension of the WIFI Salzburg, a training institute of the Federal Economic Chamber. The jury appreciated the urban concept and the dynamic interrelation of facade, plaza and interior. 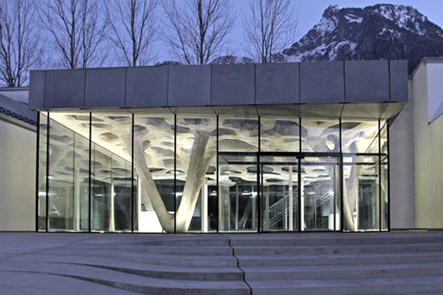 soma's Music Pavilion for the Salzburg Biennale will be opened on March 26th in the City Center of Salzburg. During the next 3 months events like concerts, exhibition and artist's talks will take place in the pavilion. For more images go to Vague Formation. 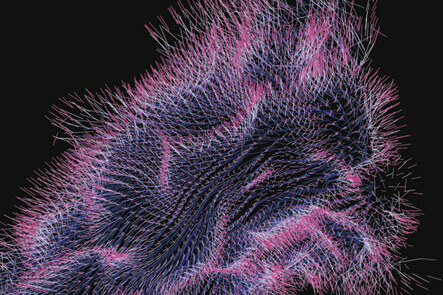 Martin Oberascher and Kristina Schinegger will speak about recent projects of soma at the symposium E-Motion in Architecture - materialising digital Design in Salzburg. The construction of the Thematic Pavilion, one of the main and permanent buildings for the EXPO Yeosu 2012 is progressing rapidly towards the opening in May 2012.
soma is invited to present the kinetic facade of the Thematic Pavilion Expo 2012 and the temporary Music Pavilion for the Salzburg Biennale at the international Adaptive Architecture Conference in London, 3-5 march 2011. 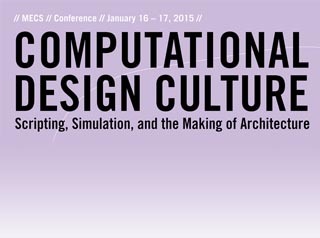 The sessions will include discussions about inventive models of dynamic facades, transformable structures and bio-inspired materials. Speakers include Peter Cook, Mark Goulthorpe, Ulrich Knaack, Bob Sheil, Chuck Hoberman, Simon Schleicher (ITKE), Alex Haw and many more. 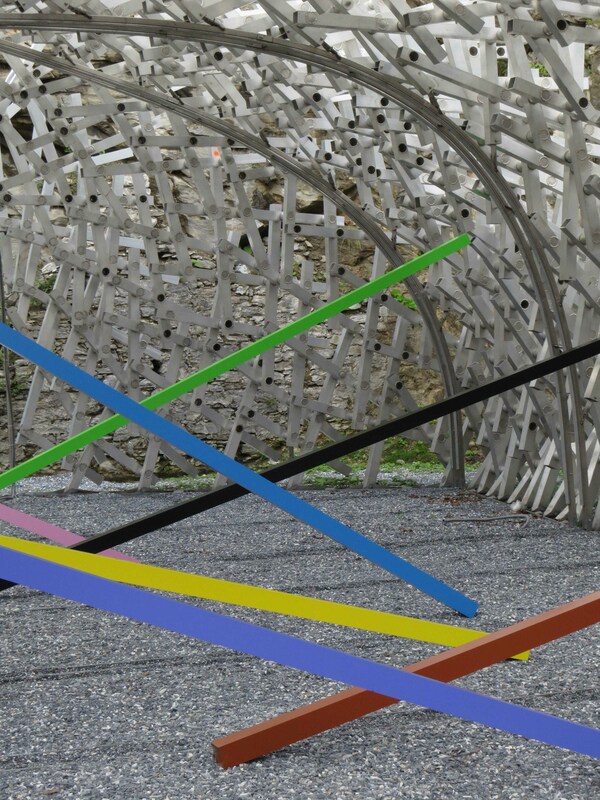 The construction of the pavilion for the Salzburg Biennale has started. The temporary pavilion will be erected in march 2011 and will be used by the City of Salzburg during the next ten years to house various art events. soma was awarded an honorable mention in the open "international competition for the Center for the Promotion of Sciences Belgrade". The proposal was commended by the jury as "an excellent urban and architectural solution, with exceptional and innovative approach". 232 proposals from 47 countries were submitted. 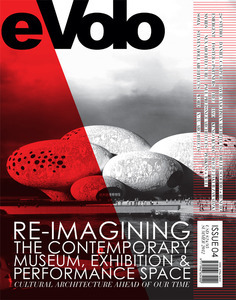 MARK Another Architecture Magazine published soma's Thematic Pavilion for Expo Yeosu 2012 in the current issue / notice board. soma's design for a temporary Music Pavilion was selected as the first prize winner in an open two-stage competition. The pavilion will be presented to the public during the Salzburg Biennale a new festival for contemporary music that will be held for the second time in march 2011. 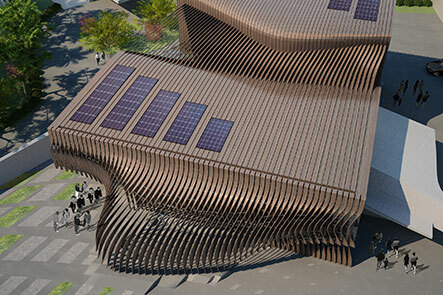 The pavilion will house various events and performances. 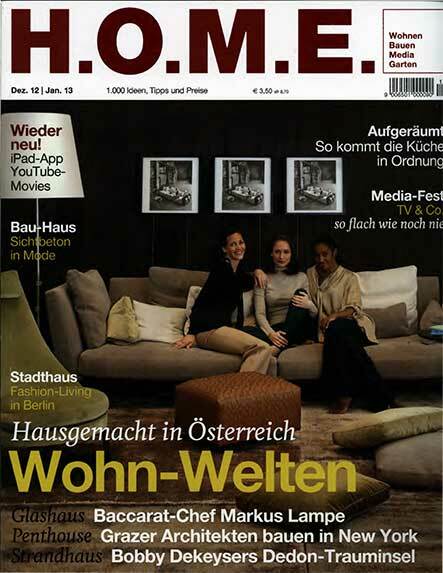 The current issue of Architektur aktuell discusses the state of architectural practice in Austria and presents soma as one of several outstanding offices. soma was one of the Austrian offices that were invited for the lecture series "Junge Architektur" by architecture in progress in 2010. 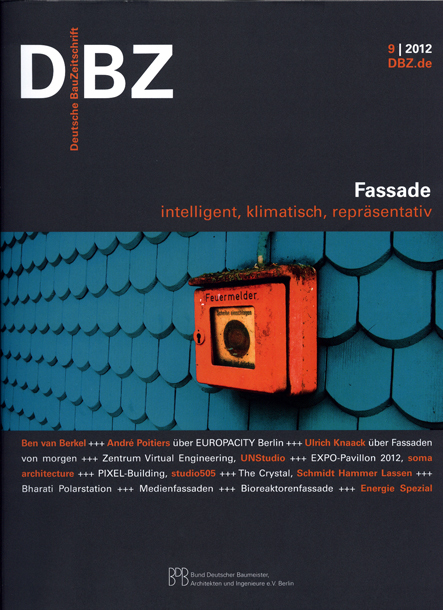 The lectures of 2010 are featured in the current issue of Architektur und Bauforum. 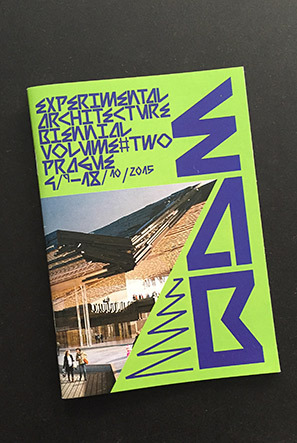 The exhibition "Young Viennese Architects 3" that presented 12 offices is presented in the current issue of the magazine Wettbewerbe. 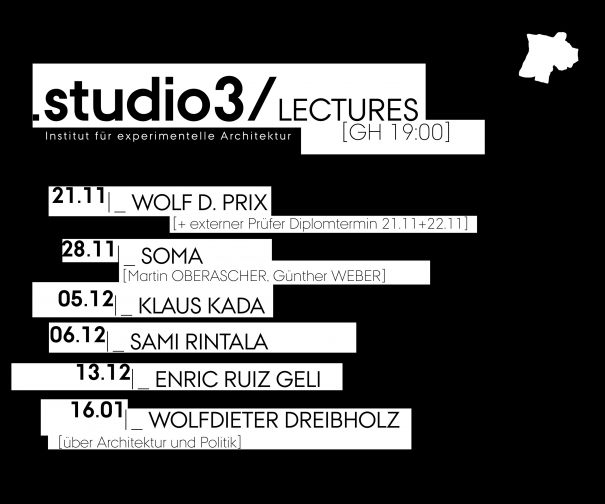 On invitation by Architektur in progress soma will speak about recent projects. soma will present the novel bionic kinetic facade for the Thematic Pavilion Expo Yesou 2012 together with Jan Knippers from KnippersHelbig Engineers at the Mediaarchitecture Conference and Exhibition, Oct 7-9 Künstlerhaus Vienna. Speakers include Kas Oosterhuis, Astrid Piber (UN Studio), Claudia Pasquero, Ludger Hovestadt, Kari Jormakka and many more. The mock-up for the roof structure of the Bauakademie Salburg has been assembled and is now ready for pouring concrete! soma was invited by the Initiative Architektur Salzburg to present recent projects in a solo exhibition. soma was invited by the City Lab to present the planning of the Thematic Pavilion for the EXPO Yeosu and discuss its design intentions afterwards with Kari Jormakka, Michael Shamiyeh and Wojciech Czaya. 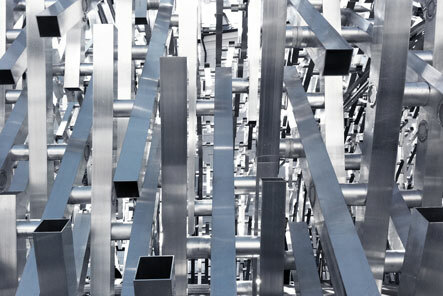 soma was selected by Eric Owen Moss to take part in the exhibition "Austria under Construction" at the Austrian Pavilion for the Venice Biennale. The pavilion will present the lively architectural discourse happening inside and beyond Austria's boundaries by displaying diverse international and Austrian positions. Kristina Schinegger and Stefan Rutzinger were invited by the University of Applied Arts Vienna and the MAK to join the panel discussion "(Un)Built-Architecture Live 7" at the Vienna Architecture Conference in honor of Raimund Abraham. The keynote lecture will be hold by Thom Mayne. 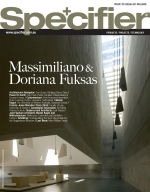 soma's winning design for the Thematic Pavilion has been reviewed extensively in the Australian Architecture Magazine Specifier. Click here for the online article by Olivia McDowell. The travelling exhibition is organized by the city of Vienna and will be firstly shown in the project space of the Kunsthalle Vienna, Karlsplatz in september 2010. Among the invited offices are SPAN, Sputnic and Martin Flatz. The development of the prototype for the extension of the Building Academy Foyer in Salzburg has started. 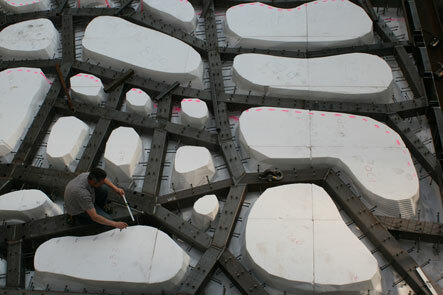 The foamwork for the concrete structure has alredy been milled by moldtech. 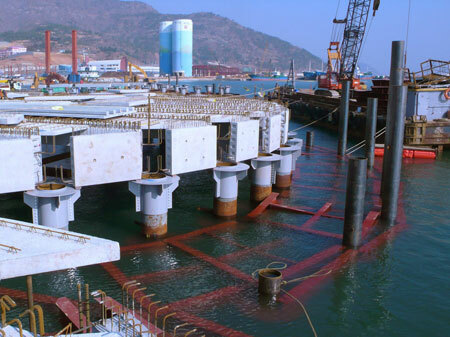 The next step will be the launch of a research group to investigate the structural behaviour. The beginn of construction is scheduled for next year. 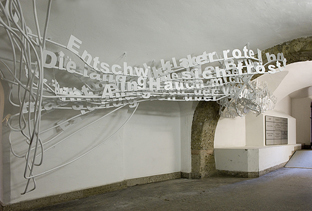 Martin's "textual sculpture" which has been selected as winning entry for the "Landesskulpturen-Preis Salzburg" has been installed a the Trakl House. It will be exhibited for the next three years. soma's winning competition entry for EXPO Yeosu's Thematic Pavilion has been featured in the Korean Magazine Interiors Issue No. 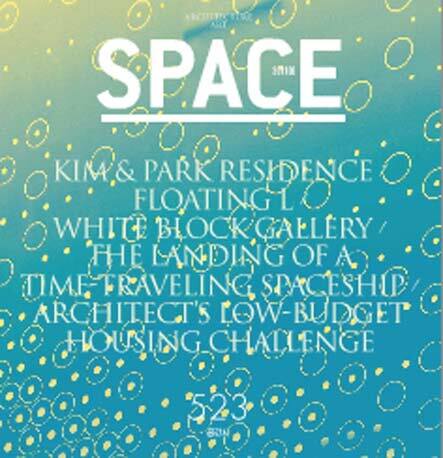 260.
soma's winning entry "One Ocean" for the International Competition for the Thematic Pavilion EXPO 2012 Yeosu is featured in the December issue of Space magazine, South Korea. 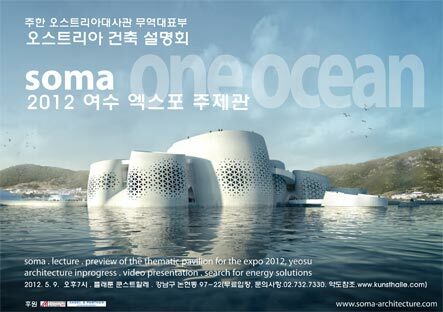 As a great start into 2012 the Organizing Comittee of Yeosu EXPO 2012, soma and dmp have signed the contract for the Thematic Pavilion. 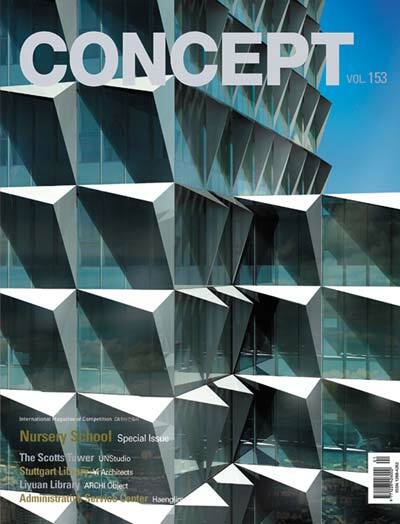 soma's winning entry for the International Competition for the Thematic Pavilion EXPO 2012 Yeosu is featured in the December issue of the Korean Concept Magazine. On invitation by Kari Jormakka, soma will take part in the lecture series "Gegenwartsarchitektur" presented by the Institute for Architectural Theory, University of Technology Vienna. 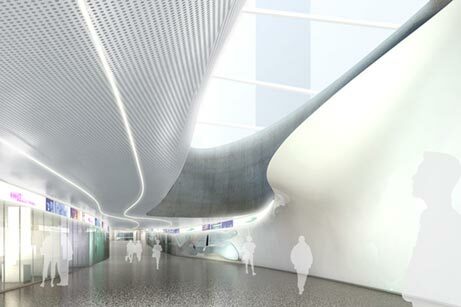 Kristina Schinegger will lecture about the Thematic Pavillon for EXPO 2012 Yeosu and other recent projects. soma wins the international competition for the Thematic Pavilion Expo 2012 Yeosu, South-Korea.The Thematic Pavilion will be one of the major facilities of the Yeosu EXPO held 2012 in South Korea. It’s exhibitions will give the visitors overview and introduction to the Expo’s theme, “The Living Ocean and Coast”. The aim of the design is to create an iconic landmark that is integrated into its urban context and the surrounding nature. 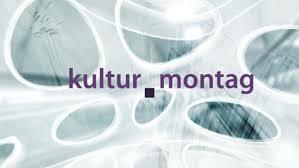 Kristina Schinegger and Stefan Rutzinger have been invited by the MAK Vienna to take part in the MAK NITE LOMOGRAPHY. The event is a celebration of the Lomo LC-A Anniversary and will take part on Oct. 20th, 8.00 pm. For more information on the project go to crispandfuzzy. Martin won the Sculpture Award for the Georg Trakl Gallery in Salzburg. He will install a permanent installation for the entrance passage inside the Trakl house. For a description of the piece click here. Martin Oberascher takes part in the Pecha Kucha night in Salzburg. He is presenting his work as an artist and recent soma projects. which presents the winning entries of the EU-wide competition for the Karlsplatz-Passage in Vienna. Kristina Schinegger and Stefan Rutzinger show their installation "breeze" in the Schnidler House, MAK Center Los Angeles. For more information on the project go to crispandfuzzy. Stefan Rutzinger and soma win the recognition award for experimental tendencies 2008 of the Austrian Federal Ministry for Education, Arts and Culture.